Thank you for Your Encouragers of ChristianBlessings. Thank You Lord for the people You have sent to be encouragers in our lives. Because You live today there are many among our Encouragers who are members of Your household, On this Resurrection Day may they be infused with Your resurrection power to live for You as witnesses of Your love, that the world may know that Jesus lives and gives strength and victory to overcome the world. Yet there are a few among our Encouragers who still have not entered into Your rest. We pray for these today that their eyes may be opened that nothing else satisfies and that Jesus Christ is the only Way, the Truth and the Life. As these read the many contributions on ChristianBlessings may they hear the voice of Your Holy Spirit wooing them to Himself in love. May they respond in appreciation of Your life and love for them, and accept and love You in return for that is the most important decision in their lives. Today we remember Sue C. Thank You for Sue C Your blessing to us. . May Your Presence be real today and Your power strengthen her to be Your minister to those who need encouragement among the abused, disappointed and lonely. Supply her every need in Word, in her life for health and strength and companionship, and give Your peace and joy this world cannot understand nor give. We bless her today for her faithfulness. We pray in Jesus’ Name and give You glory. Amen. 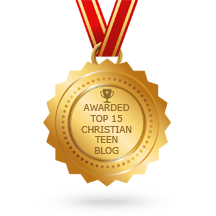 This entry was posted in A CLICK A BLESSING TODAY, CHRISTIAN TAGALOG BLOGS, CHRISTIAN TEENS BLOGS, CHRISTIAN URDU BLOGS, Prayer for ChristainBlessings Encouragers and tagged Prayer for Encouragers. Bookmark the permalink. Blessing and big AMEN to a fellow laborer!